Nothing is as effective at telling the story of a planet in peril than a striking photograph. Over the past 8 years, the Extreme Ice Survey has collected 1.1 million striking photographs documenting the plight of the world's melting glaciers. 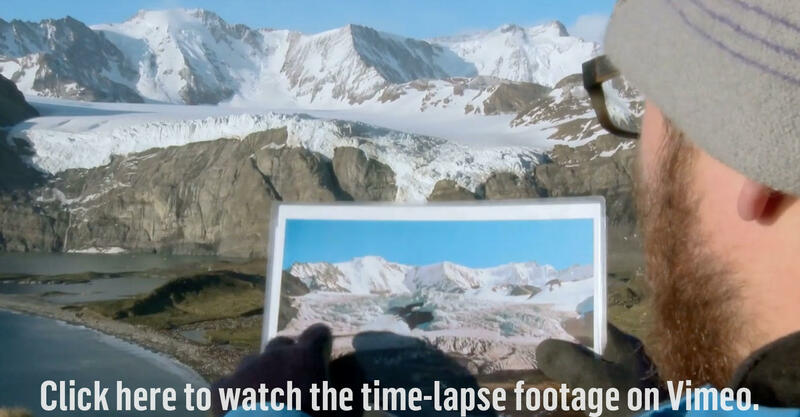 Founded in 2007 by esteemed nature photojournalist James Balog, the project has deployed 43 time-lapse cameras to 24 different glaciers across the world. As human-driven climate change has intensified, the cameras' lenses have captured the remarkably rapid retreat of some of the planet's most majestic glaciers. According to the Survey's website, the solar-powered camera rigs weigh upwards of 100 pounds each. A dustproof case and "complex system of anchors and guy wires" protect the equipment from the harsh Antarctic elements. Each camera's photos are downloaded as rarely as once a year.